If you’re serious about the quality of windows in your new home or renovation, you face a challenge that goes beyond just signing a cheque to pay for them. The fact is, it takes work to come to an informed opinion about window quality these days. Even experienced builders sometimes choose by nothing more than their gut feelings about various brands. You can do better. TECHNOLOGY: You need a basic understanding of the nuts and bolts of modern window design, construction and installation to make an informed choice about which window makes sense for a given application. PERFORMANCE: Just because a pretty, double-page advertising spread claims that a particular brand of window is best at sealing out drafts and rain doesn’t mean it actually is. You need third-party assessment to be sure. You’ll get that here. INSTALLATION QUALITY: You can have the world’s finest windows sitting on building site under a tarp, but if they’re not put in correctly they could become a miserable failure. Perhaps the least important consideration you’ll face as you start to shop for windows is also one of the most attractive. While it’s tempting to hold strong opinions about the relative quality of, say, aluminum clad wood versus vinyl, there are more important things to look at than just frame materials. The fact is, wonderful windows are made using all popular materials these days. Manufacturing standards, design features and installation skills hold the most sway in window performance. It’s too simplistic to say that fibreglass is better than vinyl, or clad wood is better than aluminum. There’s more to it than this. Read on to learn about the things that matter. You won’t be window-shopping for long before you run into the term “low-e”. Hardly any ordinary person knows what this means, but you should. It’s short for “low emissivity”, and it refers to the ability of glass to resist radiant heat transfer. The low-e feature is added to windows by application of a clear coating on the glass, and that’s a good thing. It’s also become universally available in the industry. Low-e may be put forth as a big thing by a window salesman, and though it is important, it’s pretty much universal on new windows. Although low-e coatings add 10% to 15% more to the cost of windows, it can reduce energy consumption by 30% to 50%. It’s a good deal. Low-e also reduces harmful ultra-violet rays by as much as 75%, reducing sunlight damage to interior surfaces. Another common feature is argon gas between the layers of multi-pane glazings. Argon offers more insulation value than dry air, so it’s commonly used to boost thermal performance of windows. Think of it like invisible insulation stuffed between the pieces of glass on the interior and exterior sides of the window. Argon gas is an optional feature on most windows, and it does offer real benefits – as long as the gas remains between the panes, of course. It’s not unusual for leaks to develop between panes and argon to be lost over time. When outdoor temperatures plummet each winter, windows everywhere fog up. That’s what happens when warm, moist, indoor air cools down and condenses in contact with cold panes of glass, but it doesn’t have to be this way. And while it’s true that modern double and triple-pane glazings have made this problem less common, there’s more involve here than just the glass. The design of multi-pane systems also has an influence on window condensation, too. 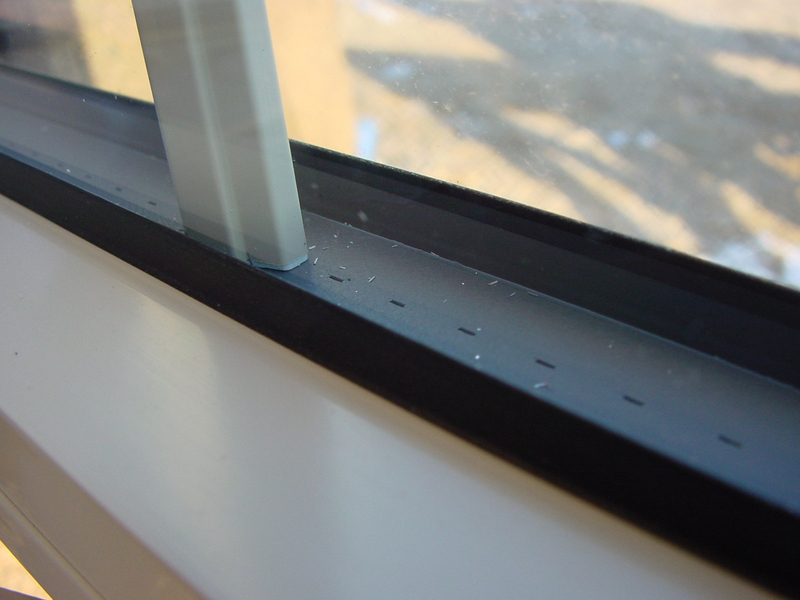 All double or triple-pane glazings include solid spacer strips of material around their edges. 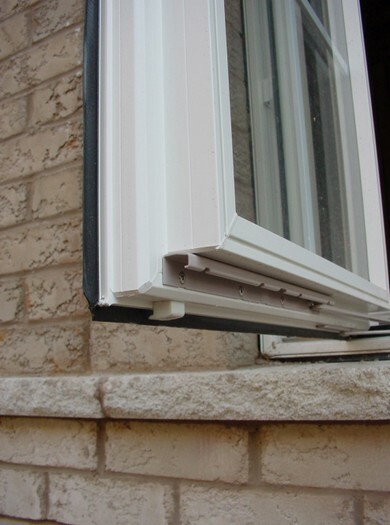 These spacers separate the panes of glass while forming the edges of multi-pane units. 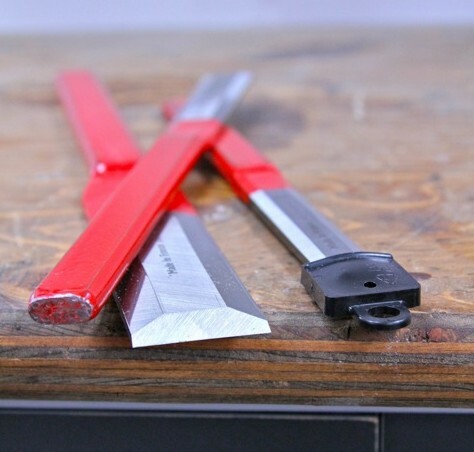 Traditionally, spacers have been made of aluminum, but that’s starting to change for the better. Since aluminum is highly conductive of heat, it can lead to cold zones around the perimeter of windowpanes, and this can mean condensation and excess energy loss in these areas. A design feature generically called “warm edge glazing” eliminates this problem by replacing aluminum spacer strips with plastic ones. It’s a small detail, but one worth asking for. Assessing window performance is something that varies from country to country, at least to an extent. The information coming up next is for US and Canadian home and property owners. The information here may also help you if you live in other parts of the world. CANADIAN SCENE: To reduce confusion experienced by window shoppers in Canada, the Canadian Standards Association (CSA) offers one of the few independent performance assessment standards for windows anywhere. And it’s not just about energy efficiency, but also about leak resistance and overall window performance. The overall CSA standard is called A440.2-14, and it rates the effectiveness of windows under conditions of wind and driven rain, as well as energy performance. The A440 standard is getting to be more and more widespread, and used as part of other certification programs such as EnergyStar. Look for the A440 designation in the fine print on certification stickers. Just remember that not all windows made by a listed company meet the CSA standard. It’s a model-by-model thing, not necessarily a company-wide thing. USA SCENE: Although windows meeting some version of the CSA standard A440 might make it into the States, the National Fenestration Rating Council (NFRC) offers the most common ratings for window performance in the USA. Their ratings are part of the Energy Star commonly seen. The National Fenestration Rating Council (NFRC) assessment stickers are found on some products sold in Canada. The published numbers allow a direct and detailed performance comparison between competing windows. Click here for a searchable database of NFRC-approved windows (plus doors and other related products). CANADIAN SCENE: Another Canadian innovation to help you win the window game is called the Window Wise Program (1-800-813-9616). It’s a system of installer training and certification, random field inspections of completed window installations, and a minimum list of technical standards for windows covered under the Window Wise umbrella. Sealed glass units filled with insulative gas, and the physical strength and design necessary to meet forced entry resistance requirements. USA SCENE: An organization called Installation Masters offers training and certification for installers of both doors and windows. They divide their work into two halves: installation of windows and doors in new construction, and installation of replacement windows and doors. Click here to find Installation Master-certified people where you live. The Canadian federal government is committed to helping boost the energy performance of houses. This could mean a rebate on your replacement windows and other energy upgrades. Click here for a detailed list of energy incentives and rebate programs. In the USA, the Department of Energy publishes several lists of grants that could reduce the cost of replacement windows. Click here to the link. 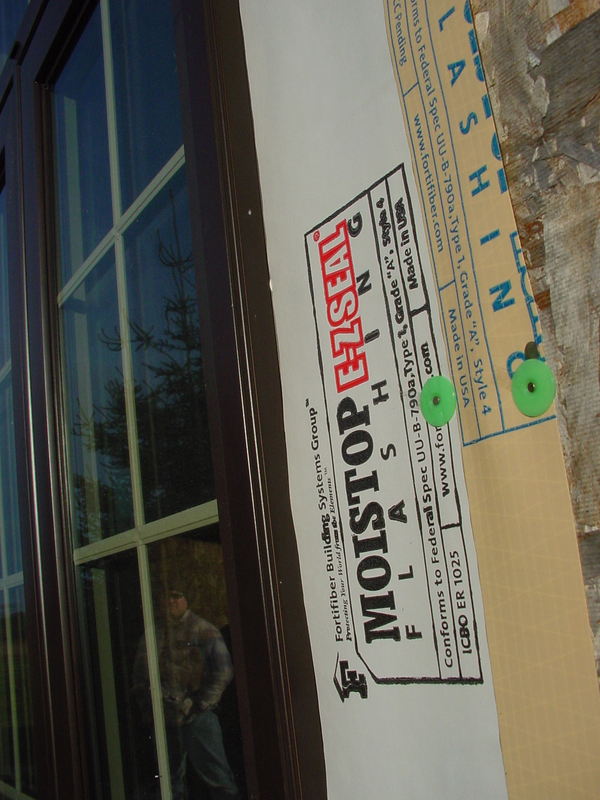 Sometimes the most important building products are the ones that can’t be seen when your project is complete, and this is the case with window flashing. Although it’s easy to spend a couple of thousand dollars on each new window that goes into a project, there’s a strange reluctance to pay just a few dollars more for the assurance that the windows will remain leak-free forever. And part of this reluctance has to do with the appearance of new window designs. There’s something you need to be careful of here. Since most windows come from the factory with a mounting flange around the edges of the exterior frame, many people mistakenly believe they can simply slip the window in place, tuck the building wrap over the top, then nail it all down through all those oval holes around the flange edges. And while this might seem good enough, can you really be sure? It’s often a deficient approach. Small leaks can go undetected for years, encouraging frame rot and internal decay around windows that look just fine on the outside. The fact is, you need to do more to ensure driving rains won’t make it into the structure of the building. And this means revisiting the old topic of flashing, though with a modern twist. 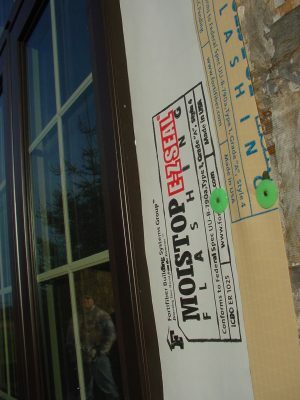 New materials mean that today’s best window flashing products are easy to use and much more effective than traditional flashing options. They use a combination of metal and self-sticking membranes to ensure absolute resistance to water intrusion. When coupled with a good weather resistant barrier applied to exterior walls, window flashing is the cheapest insurance you can get to protect against hidden water leaks. When it comes to window quality, there’s more involved than meets the eye. That’s why it pays to know more about your choices than just what window advertisements would have you believe. Since a large portion of household energy consumption is spent on heating and cooling, window quality is worth seeking. Take the time to drill down to find solid information and you can be sure you’re getting all the window quality needed for long-lasting, energy-efficient results.